The 40th successful face transplant happened to be on the youngest person to ever receive one, 21-year-old Katie Stubblefield. It has taken over four years and 20 surgeries for Stubblefield to finally receive a new face after she lost hers in a failed suicide attempt. Doctors at the Cleveland Clinic helped put her back together in what Stubblefield described as getting a "new identity". Stubblefield's speech is still recovering after her jaw and tongue surgery last month, but she spoke through her parents saying, "I'm starting over in a lot of ways. I feel like I’m a toddler again. I’m having to learn everything all over again." A plastic surgeon at the Cleveland Clinic named Dr. Brian Gastman says the next step for Stubblefield will be adjusting to this new normal. "As a face transplant patient, you have a new identity. She’s going to influence people in ways she could never have done before," Gastman said. "It’s a different outlook. I think she can rebuild; that’s what she’s doing." Stubblefield's future was uncertain since rebuilding her face wasn't a guarantee after shooting herself in the head in a 2014 suicide attempt. The shooting took a large portion of her face and almost took her life too. She went under the knife over and over as doctors first tried to save her life, then tried to repair the damage. Doctors knew it would be difficult, not just due to the mental health concerns, but because they would need to find a female face donor of similar age and complexion. "She was just about to start true womanhood: being able to have children, finding a mate, going to college, getting a job, being a homeowner, all those things. She had not had any of that experience. [Not getting a face transplant] would just freeze her in time," Gastman said. "As a father myself of a daughter who is her age, I felt really strongly that she was an even better candidate because of the potential of a face transplant and what it can do for a young person." Doctors finally found a donor match after 14 months of waiting in May of 2017 when a 31-year-old from Ohio died of a drug overdose and her family decided to donate nearly all of her organs. 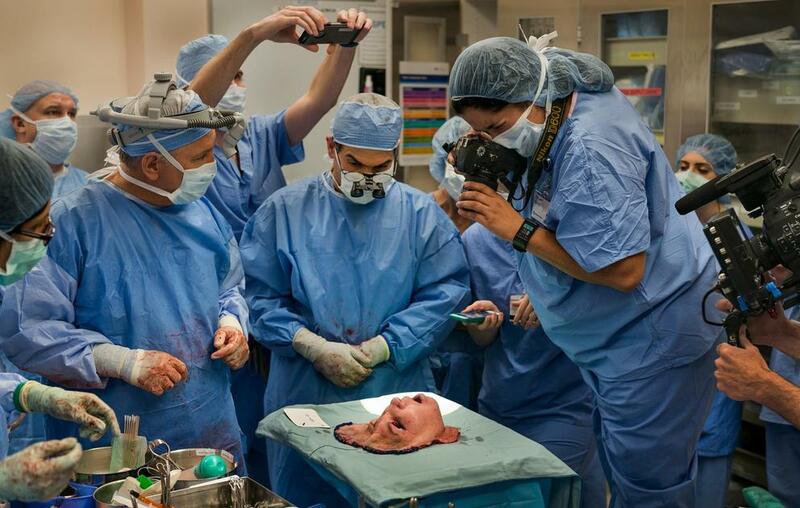 It took 31-hours of operating to transplant Stubblefield's new face. "It’s so important for people to be a donor to help other people out," Stubblefield said. "So many people are still waiting for donors; there’s thousands of people that are in need of organs or tissue. People are dying every day because they don’t have a donor." Despite her attempt to take her own life and the traumatic aftermath, Stubblefield is optimistic about her life now. "Life is precious and life is beautiful. Life is a gift," she said. "No matter what you are walking through, there is someone that you can talk to. There’s always help available when you hit that low point. I’m very thankful to be in a position to share about that." Hillary and Huma should know. I wonder what caused the NYPD officers to seek professional help after watching a video on Wiener's laptop after they confiscated it? Word is it is some pretty sick stuff in a folder marked insurance.